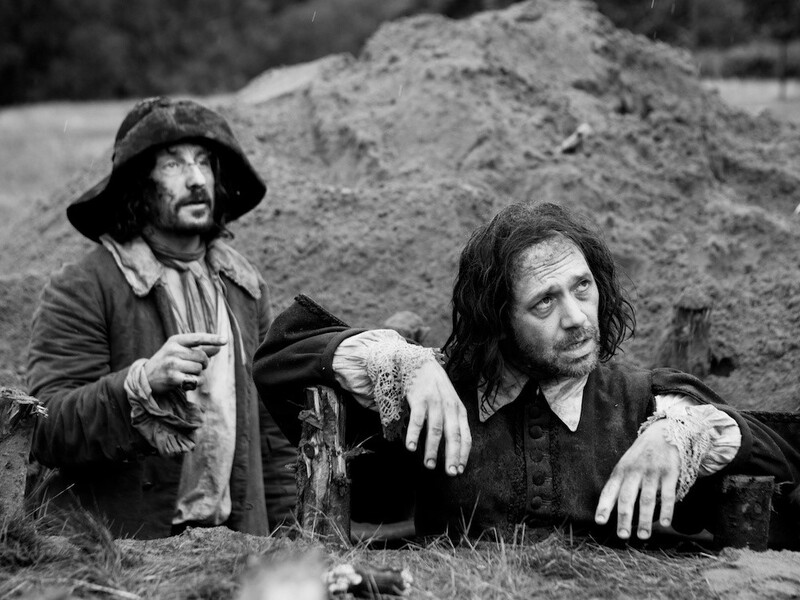 Fans of horror movies can take a trip with magic mushrooms back into the mayhem of the English Civil War when A Field in England is shown at Hauser & Wirth in Bruton on Wednesday April 5th from 4.30pm. 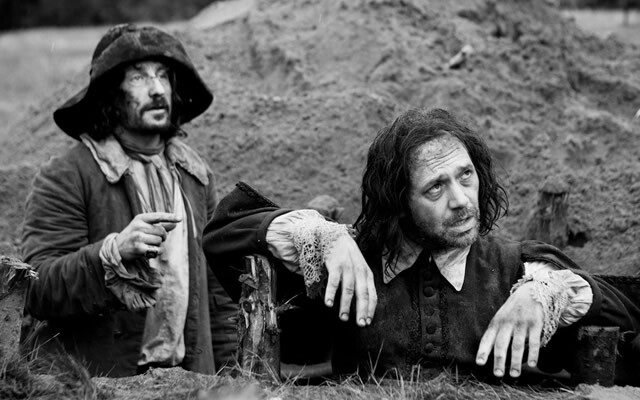 Director Ben Wheatley’s 2013 black and white movie is a psychological horror film that was described by Variety as “a psychedelic trip into magic and madness” and by The Independent as “Apocalypse Now among the hedgerows”. The screening at Hauser & Wirth is part of Where West Begins’ new neighbourhood cinema programme, in conjunction with the Youth Cinema Foundation. Dan Martin, the figurative and makeup effects designer on the film, will talk about creating special effects for horror and demonstrate how to make an exploding head (safely). During a battle of the English Civil War, an alchemist's assistant named Whitehead (Reece Sheersmith) flees from the strict Commander Trower. Whitehead is saved by a rough soldier named Cutler, who kills Trower. Whitehead and Cutler meet two army deserters, the alcoholic Jacob and the witless Friend. They leave the battleground in search of a promised ale house that Cutler knows but instead he leads them to a field encircled by mushrooms, where he cooks the mushrooms and forces Jacob and Friend to eat them. An Irishman, O'Neill, who apparently comes from under the earth, is a rival alchemist for whom Cutler works; and who stole documents from Whitehead's master. He asserts authority over the group and tells them of a treasure hidden somewhere in a nearby field. For bookings or more information visit www.wherewestbegins.org.uk.